after a rain and see my plants, my little garden. and with so much beauty... I go to look the camera photo! 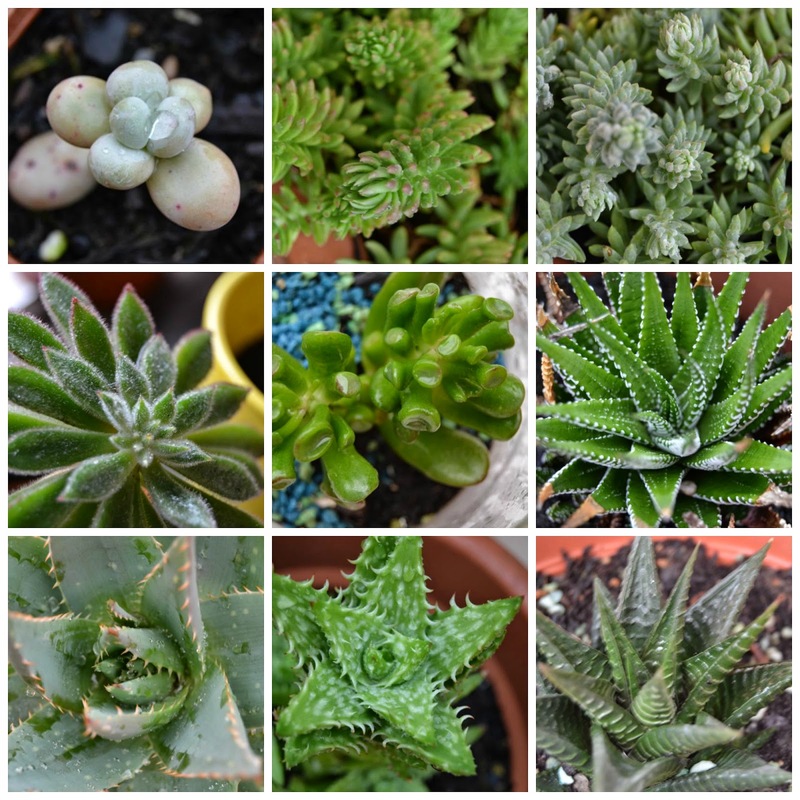 There is such a variety of succulent plants on Earth! forms ... leaves ... colors .... I love them! (currently and up to now!) only succulents. will survive at the cold winter, my beloved succulents ...? You have looked well these photos? You do not think that succulents are fascinating? but ... this stitch is a vice relaxing! hahahaha! happy crocheting to you all! Que passis un bon dia! Love the colors in your crochet work. Is it a blanket? 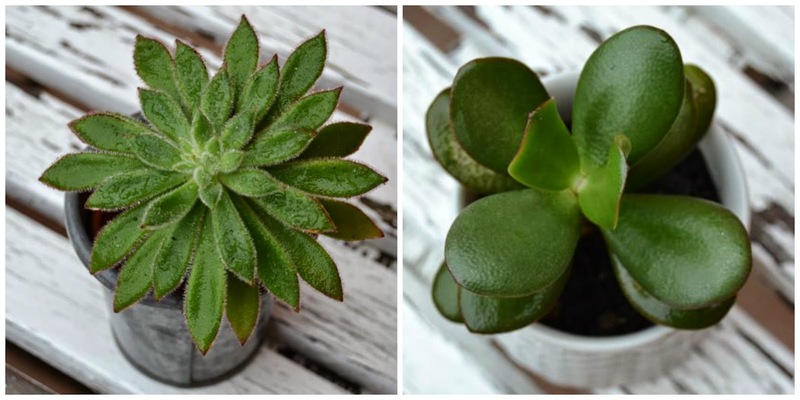 Succulents are the coolest little plants to enjoy watching them grow. Utterly Lovely !~! 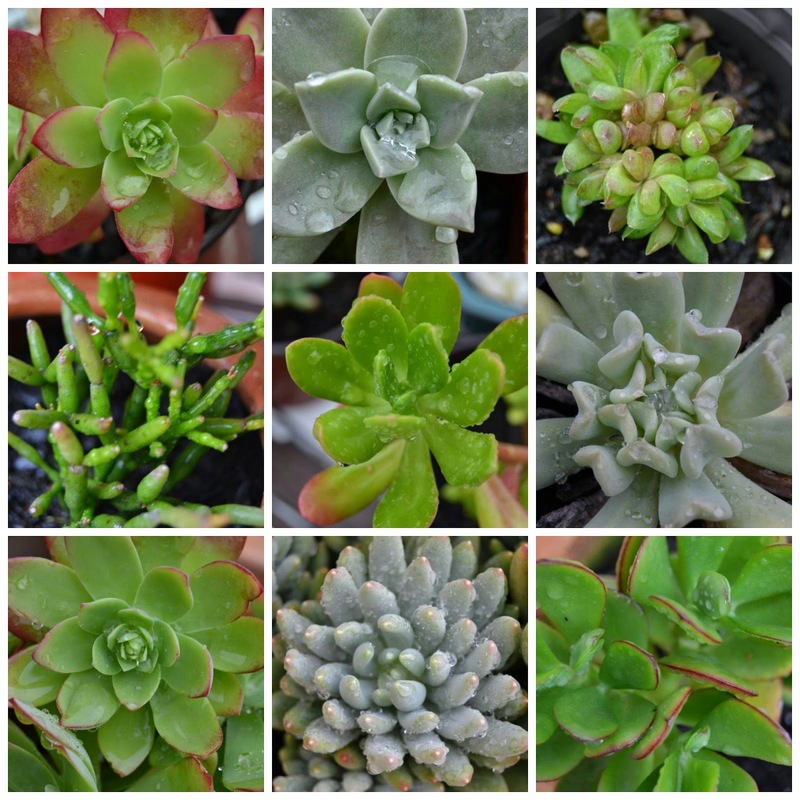 Such a wonderful collection of little succulents, they are very pretty. And your crochet is delightful in those soft green shades.